Karen Carson, a major figure in the Los Angeles feminist art movement, has employed varied techniques and materials to reflect and comment on the turbulence of everyday life. She is concerned with both what can be a dangerous natural world and an equally disturbing world of politics and world events. 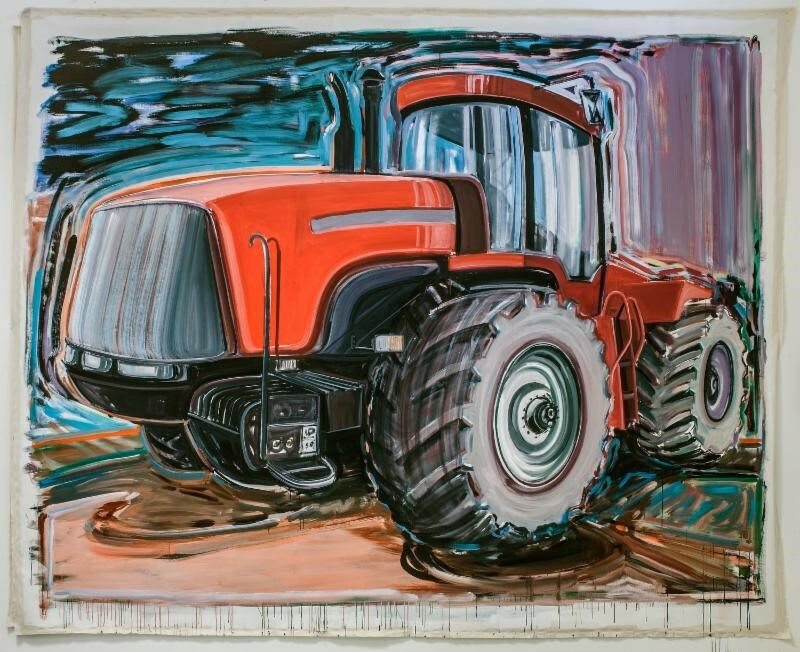 Donna Granata’s conversation with Karen Carson traces the development of an artist whose oeuvre takes us from abstract zippered canvases, tableaux with feminist themes, the muscular tractor series, and to her current exploration of form and color on bas-relief wood. Whether we are looking at highly decorative clocks or symbolic beds, a sense of energy, excitement and, often, humor prevails. Though the content of work has changed, her commitment to representing what we see and feel remains. AfterGLOW hosted by Ginny Furmanski and The Old Broads Catering Company.